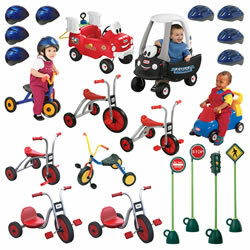 Trikes and scooters provide a fun opportunity to enhance gross motor development. 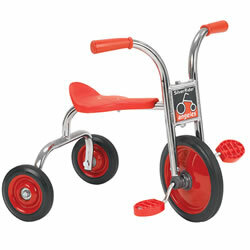 Kaplan offers a variety of trikes, including both pedal pushers and foot driven push trikes for beginners. 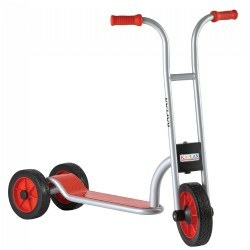 Scooters come with either 2 or 3 wheels to match ability as well as scooter boards. 3 - 6 years. Simple one-bolt assembly. 5 year warranty. 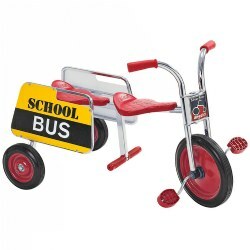 Seat: 15 3/4"H. Bars: 25 1/4"H.
This selection of tricycles and wheeled vehicles for social and imaginative play provides an excellent avenue of exercise for children. 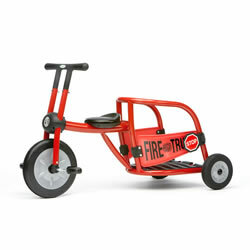 Riding tricycles is a great way to extend their gross motor development and are completely developmentally appropriate. 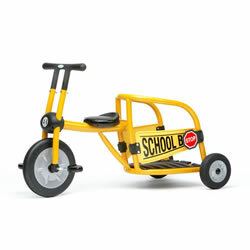 The trikes for the older children are built for years of rugged outdoor use. 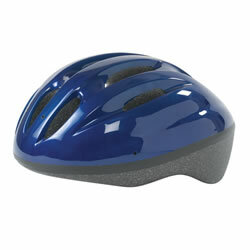 They are ergonomically designed and have anti-pinch seating. 3 - 4 years. Simple one-bolt assembly. 5 year warranty. 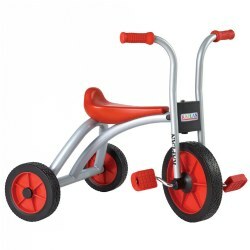 Seat: 14"H. Bars: 23 1/4"H.
4 - 8 years. Simple one-bolt assembly. 5 year warranty. Bars: 23"H.
1 - 3 years. 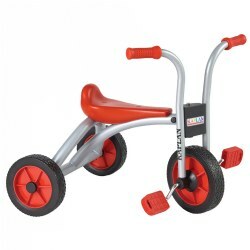 Sized just right for toddlers on the move! 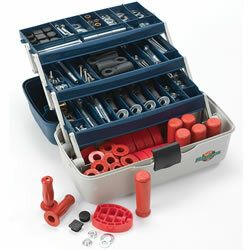 Heavy duty construction with 5 year warranty. Simple 1 bolt assembly. 4 - 6 years. 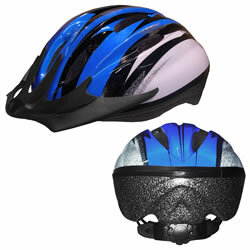 rubber coated, slip resistant handle bars and a ball and socket fork system that eliminates dangerous pinch points. 44" long. 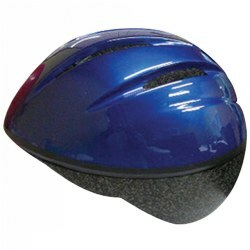 Seat: 15 1/2"H. Handlebar: 26 1/2"H. Wt. 28lbs. 3 - 7 years. Simple one-bolt assembly. 5 year warranty. Bars: 32 3/4"H.
4 - 8 years. Simple one-bolt assembly. 5 year warranty. 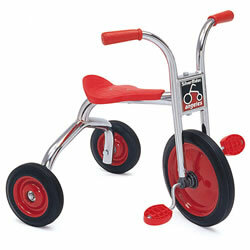 Seat: 16 3/4"H. Bars: 27 1/4"H.
3 - 8 years. 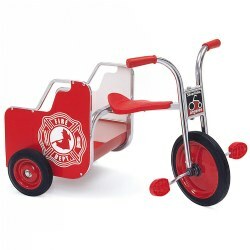 Carry passengers on this tandem trike with steel handrails and footrests. 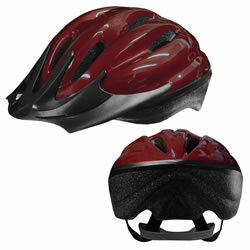 Features durable chrome plating and a welded steel frame with primary red accents. 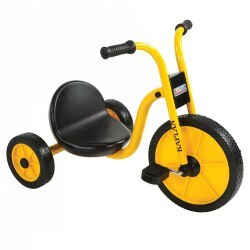 The solid rubber tires are long-lasting and contain self-lubricating nylon bearings. 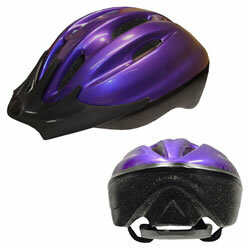 Supports up to 140 lbs., and the recessed hub is designed for safety. Requires easy 1-bolt assembly. 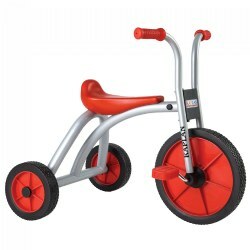 The seat measures 16"H, the front wheel measures 12" in diameter, the rear seat measures 15"H, and the handlebars measure 24 1/2"H.
4 - 8 years. 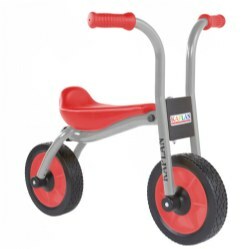 Seat: 16 1/2"H. Handlebar: 26"H. Weight 27 lbs. 4 - 8 years. Seat: 5 1/2"H. Handlebar: 20"H. Weight 28 lbs. 3 - 8 years. 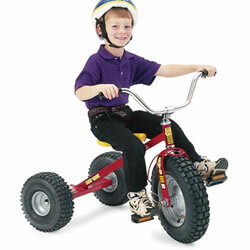 This all-terrain trike is durable and rugged with wide sturdy tires and adjustable seat. Seat adjusts from 10" to 19 1/2". 3 - 5 years. 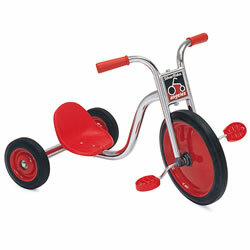 The Balance Bike uses two solid wheels to encourage a sense of balance and blooming motor skills. 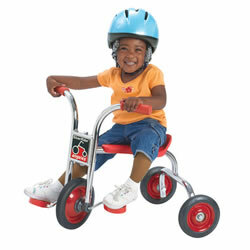 Children gain a feeling of safety and security as they learn to balance and glide astride their very own vehicle. Measures 29"L x 19"W x 23"H.
3 - 4 years. Seat: 13"H. Handlebar: 21 1/2"H. Weight 24 lbs.